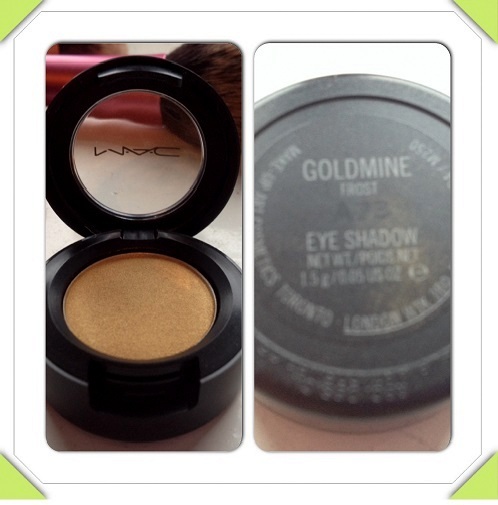 MAC’s Goldmine frost shadow is a frosty gold colour with shimmer. As a frost it is not meant to be highly pigmented, however offer a beautiful sheen and sparkle to any look. I decided to try this shadow out as I realised I had no gold shadows in my collection, and over Christmas I really wanted to do some gold looks. I decided on buying a MAC shadow as I am a massive fan of MAC and their high quality pay offs. I love the packaging of MAC shadows as it is clean and professional looking and lasts a long time and can be easily taken with you on your travels. Upon opening Goldmine, I was again excited as it looked really pretty and sparkly. 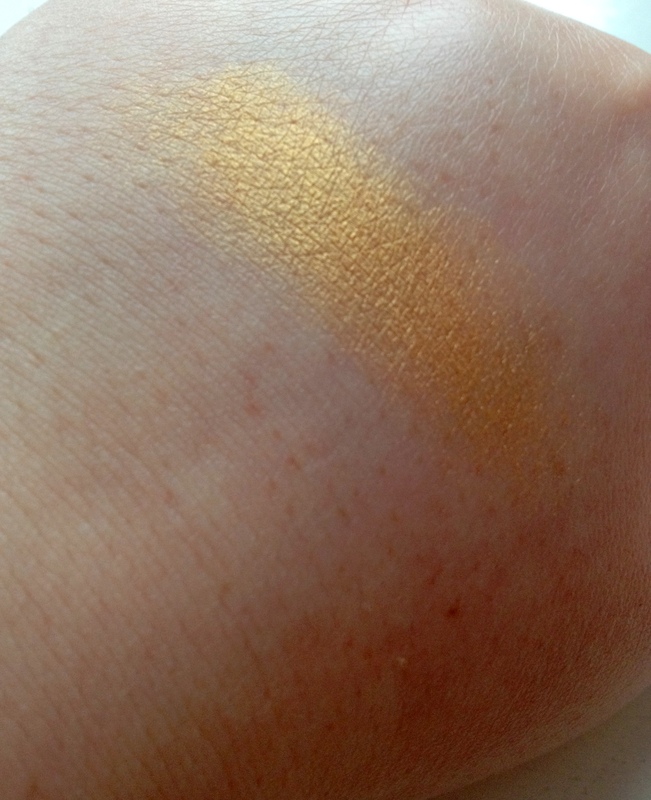 After swatching the product on my hand I was really pleased at how pigmented it was considering it is a frost. I wasn’t even planning on using this product all over my lids, I actually wanted to use it on the lower lashline and inner corners as a pop of colour, but actually as it is really pigmented I could do a complete gold look with this! It would definitely benefit from an eyeshadow primer if using all over the lids though for some extra staying power and a brighter pay off. This shadow is definitely a staple colour to have. Gold works well in all seasons and adds a real luxurious feel to any look. For £12.50 it is worth it in my opinion, however there are cheaper alternatives out there with amazing pay offs. I’m just addicted to MAC!